We're with you from the start! The Office of New Student Engagement provides assistance, information and resources to you, the new student, from the time of your acceptance through your first weeks of classes. We are here at the beginning to make sure you make a successful transition to Queensborough! Students: Classes start soon! Are you ready? 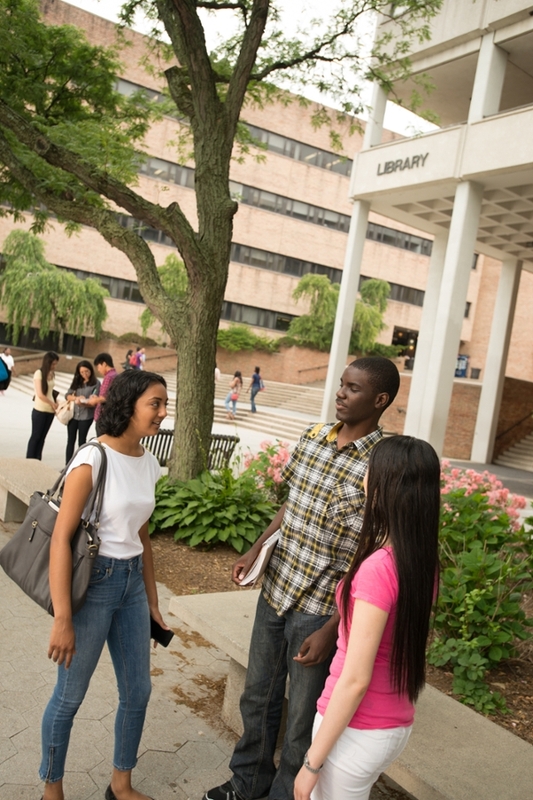 The Office of New Student Engagement serves as a resource to support students’ onboarding and transition process to Queensborough Community College. Our mission is to provide accurate, useful and timely information and programming to new students and their families. We deliver services through New Student Welcome Sessions, Orientation, Test Preparation Sessions, Parent and Family Outreach and Welcome Week Activities that are designed to remove roadblocks, ease the transition from High School to College and pave the way for a successful first semester. Welcome to Queensborough Community College (QCC), home of the Queensborough Academies! We are excited to welcome you to our vibrant academic community in the Borough of Dreams— Queens, New York. The Queensborough Academies are committed to your success, from start to finish. Each Academy provides you with special learning opportunities and activities along with personalized advisement. We have designed this guide to help you get started on your college journey. It contains important information about the many Queensborough resources, services and opportunities that will enable you to complete your degree as you plan for the exciting transfer and career opportunities beyond graduation! Map Your Success journey at Graduation! The Queensborough Academies are our plan for your success. 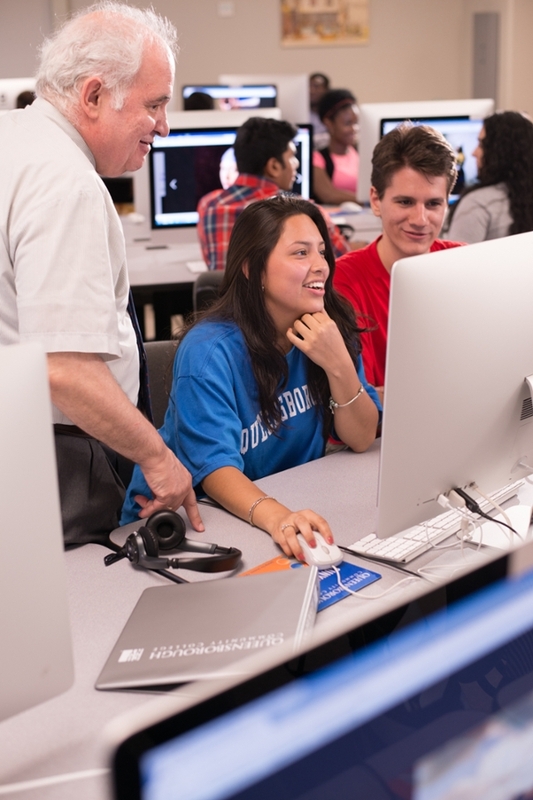 Take key actions along the way and complete your degree at Queensborough. You will be ready for the exciting transfer or career opportunities that lie beyond graduation. Now that you're a QCC Student, there are 5 things left to make sure you have an awesome year! Is your Admissions and Enrollment Checklist complete? Attend your Welcome Session and Orientation! Is your Admissions & Enrollment Checklist complete? The CUNY Assessment Tests (CAT) are a series of tests in Reading, Writing and Math. The purpose of the CAT is to assess your readiness for introductory college courses. The results from your CAT will determine whether you can enroll in credit-bearing courses or if you must first enroll in “brush-up courses” in reading, writing and/or math. We help you prepare for CAT by providing you with an overview of test content, format, and time. We will share with you our best tips and strategies to help you prepare and do your personal best on the CAT. Please contact us for more information. We’re here to support you if you didn’t pass CAT. Take an intensive preparation class to strengthen your skills and then re-test. Please contact us for more information regarding our preparation class. Can’t come to campus for a session? We have you covered with our online Test Preparation Resources. Please contact us for more information regarding online Test Preparation Resources. Interested in playing a sport? Reach out to our Athletic Department to learn more about our teams. It is the responsibility of the student to self-identify as a student with a disability. Students must contact SSD to schedule an appointment with the program director to register for services. It is the responsibility of the student to provide documentation (see documentation guidelines) to support the individual’s request for any accommodations. Students need to 1) complete the SSD Intake form, 2) submit documentation of disability that supports request for accommodation and 3) meet with the director to discuss eligibility. We provide you with early and important information you need to complete the admission and enrollment process. Have questions about submitting your admission deposit, the CUNY Assessment Test, residency, tuition or financial aid? We’ve got you covered in our fast-paced information session that will have you prepped and ready to enroll! Parents, guardians, family members and others who support Queensborough students play an important role in their student's journey through their academic career. We want to provide you with information so that you can continue to support your student in a variety of ways. Please visit the Parent's support page for important resources and information to help get you started. Additionally, please consult the Admissions and Enrollment Checklist to make sure your student is on the right path. We encourage you to contact the Office of Admissions and the Office of New Student Engagement with any questions or concerns you may have.